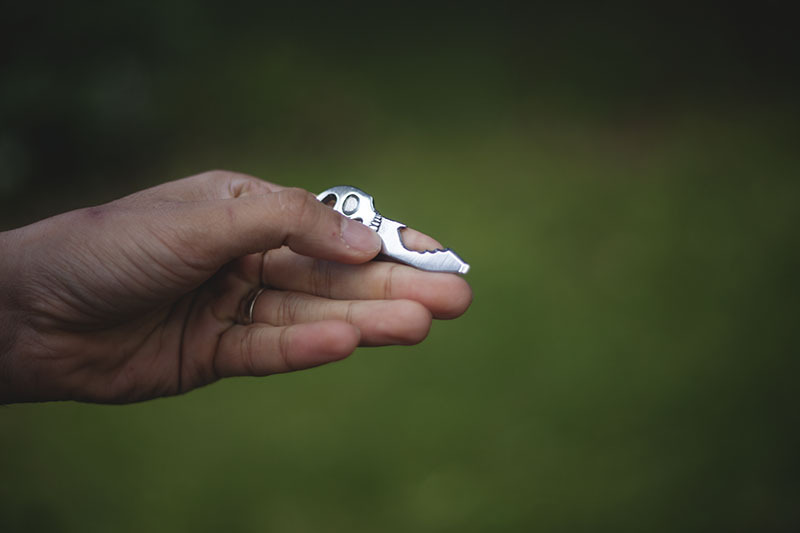 Coming hot on the heels of the Nite Ize Doohickey key tool review, here is another mini multi-tool widget-thingy created by Nite Ize for us to play around with. 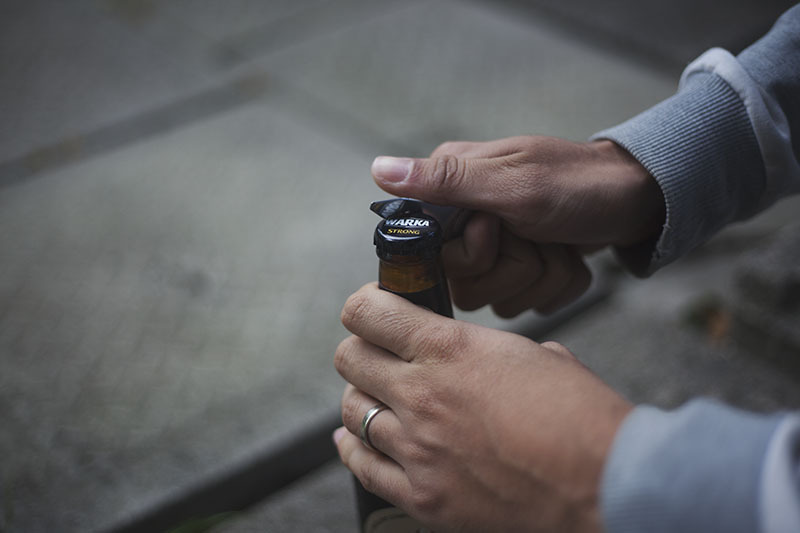 In this review are both the QuicKey and SkullKey, but besides the stylistic differences and an ever so slight change in ergoes when using the bottle opener feature, they are for all intents and purposes identical. As such, when discussing features/performance be aware that my conclusions pretty much apply equally to both these attractive mini tools. The QuicKey and SkullKey were originally conceived independently from Nite Ize by a guy named Chris Hawke. 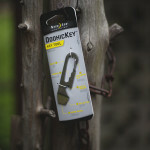 Whilst the Quickey and SkullKey from Nite Ize and that from Trident Design/Chris Hawker are identical products in terms of style and function (and I assume manufacturing) it should be noted that the advertising and suggested uses of the QuicKey/SkullKey from Nite Ize is significantly more down to earth and realistic about the product. 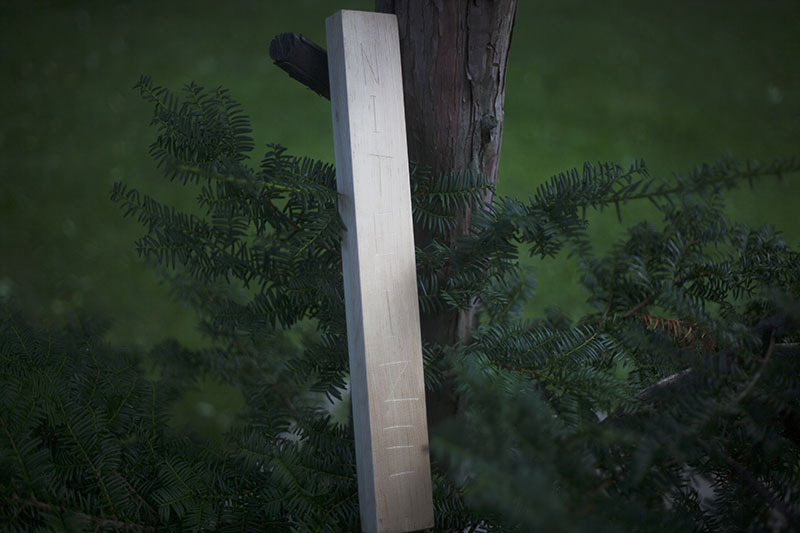 The Nite Ize QuicKey and SkullKey are branded with 4 core functions in mind: 1. 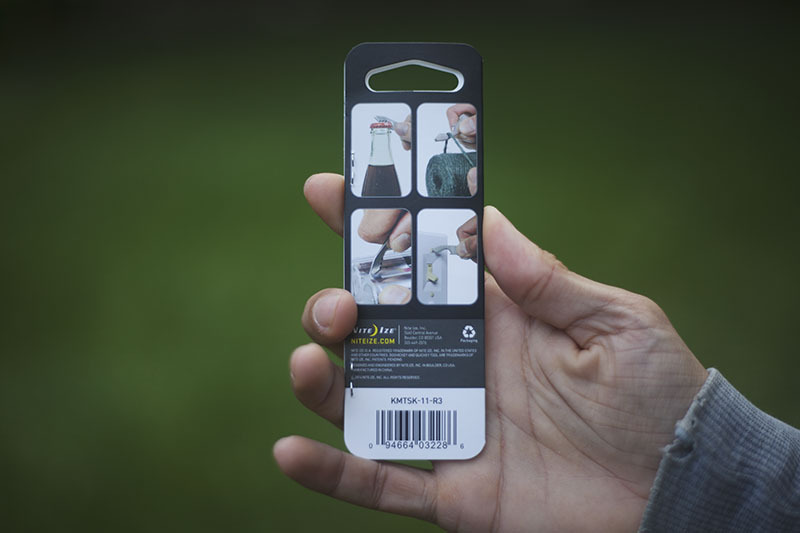 A bottle opener, 2. A serrated mini blade, 3. A box opener, and 4. A flat head screw driver. The Chris Hawker original advertising (see here for details) is extremely heavy handed, with the advertising bordering on inane, including functions such as “coupon cutter” and “lotto scratcher” in the mix! So it seems that Nite Ize either bought or licensed the design and in my opinion they did a good job resisting the trend of inventing “features” for these humble little gadgets. Product hype is so commonplace these days, which is a bit frustrating as once you get the product, you usually can’t help but be let down by the fact that it really doesn’t do all it’s intended to. For the sake of my sanity, I will ignore the “extra feature” advertising from Chris Hawker/Trident Designs QuicKey/SkullKey, and focus simply on what Nite Ize thinks these tools should be able to do. 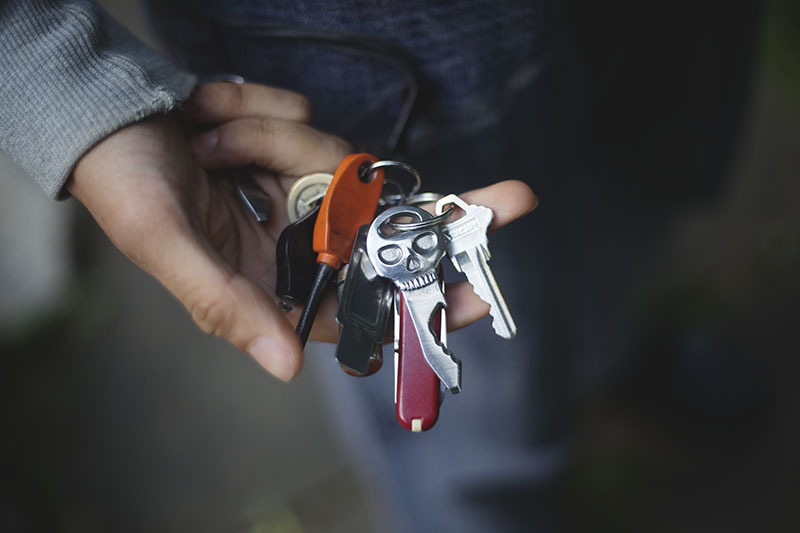 Straight off the bat, both the QuicKey and the SkullKey look and feel like heavy duty keys. 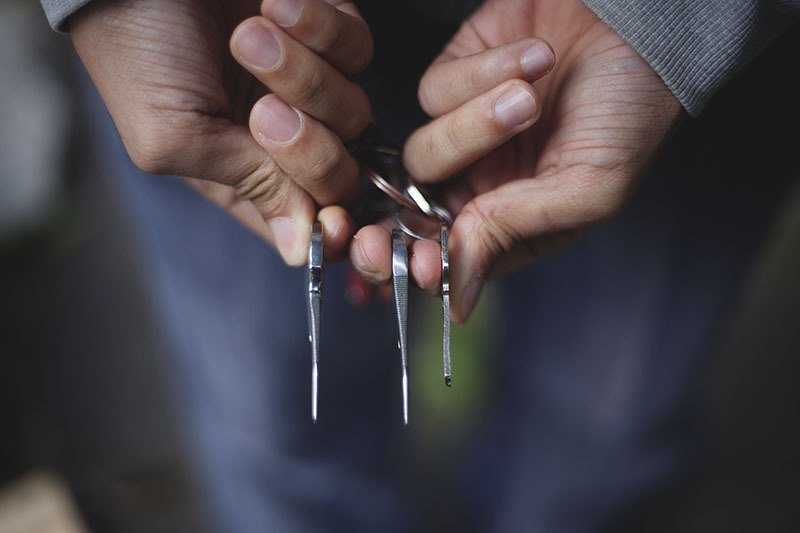 Roughly the same size as Medeco Lock keys, and slightly bigger than your standard Chubb/Schlage deadbolt keys, they’re a fair size for your keyrings. As far as I am concerned, they did a damn good job when it comes to styling. The QuicKey looks utilitarian in nature, and unless explicitly told, I doubt most observers would even suspect what it was besides a slightly oversized and very weird key. It’s much more badass twin, the SkullKey, is my favourite of the two. It honestly looks as good in person as it does in the pictures, and I’d imagine if it got a little grease on it, it’d look even more irresistible. 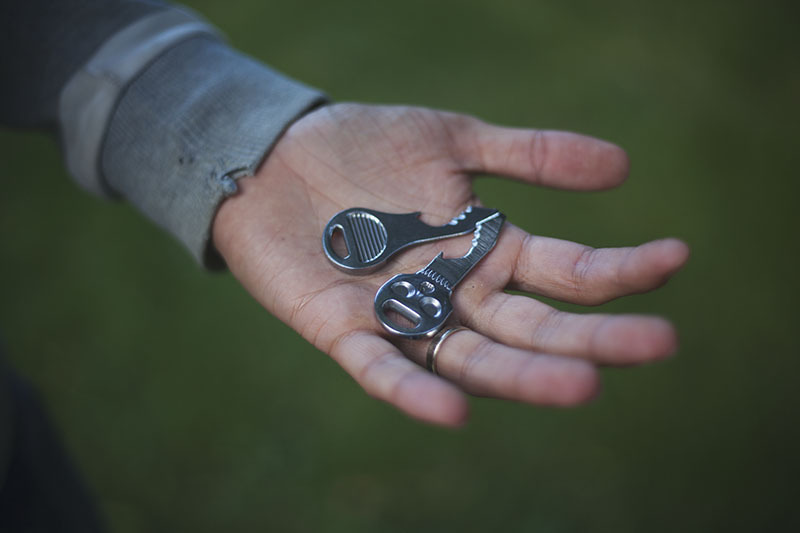 Definitely can imagine myself getting questions along the lines of, “Cool key, but what the hell’s it for?” You want some attention drawn to your gear, this is the one of the two to get. 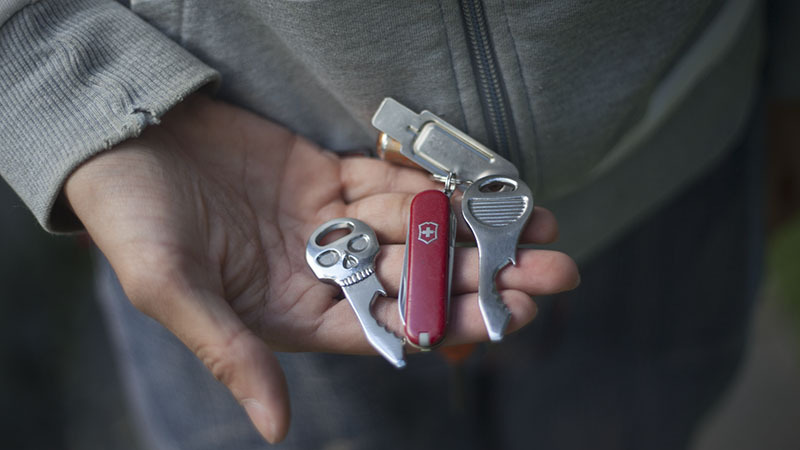 Here they are compared to the industry reference of mini multi-tools, the Victorinox Classic. 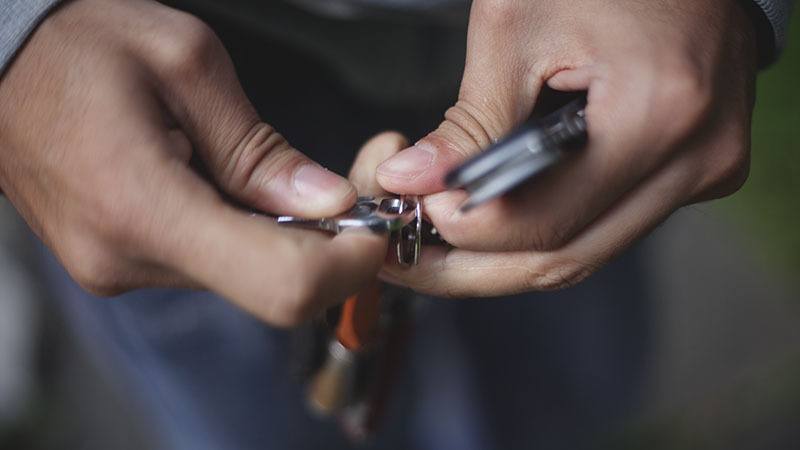 The keys are slightly heavier, a teensy bit longer, and just a smidge thinner, but in the grand scheme of things they’re roughly the same size. 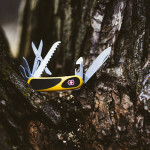 Beyond size and weight, comparing the widgets side by side would do all of them a huge disservice, as the intent and applications of the QuicKey and SkullKey are very different from your standard Victorinox mini multi-tool. The QuicKey and SkullKey are each around 20 grams (0.71 ounces), which is basically nothing. 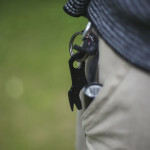 You don’t have to worry about these tools being too heavy for your keychain and/or pocket. I’ve had the SkullKey on my keychain 24/7, and I pretty much forget it’s there until I need it. 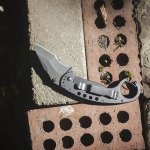 Unlike the Gerber Shard, which is pretty awkwardly shaped, the flat design of the QuicKey and SkullKey means that the widgets disappear in my pocket like regular keys would. No discomfort whatsoever. The QuicKey and SkullKey are cast out of solid 304 stainless steel, and have a tapered design with very fine jimping on the spine. Trident Designs originally advertised the jimping as a glorified file, but it’s not. It files terribly. As fine, comfortable jimping? Fantastic, I like. 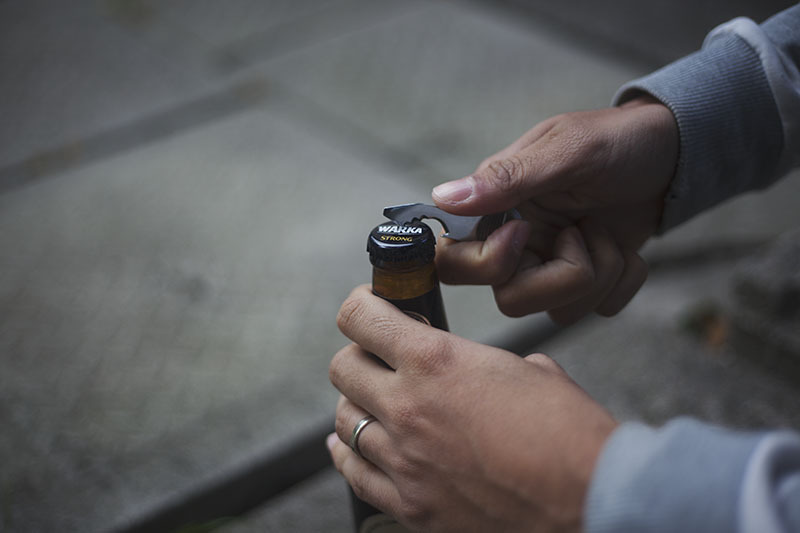 Opening a beer is slightly awkward initially as the ergonomics leave a lot to be desired. Using traditional grip as shown below was cumbersome, however, I then put my thumb on the ledge of the QuicKey and from then on opening bottles was a breeze. This means that two-handed, you can definitely use the QuicKey/SkullKey to open a bottle. If you’re trying for a one-handed open, however, you’re going to run into some serious trouble. 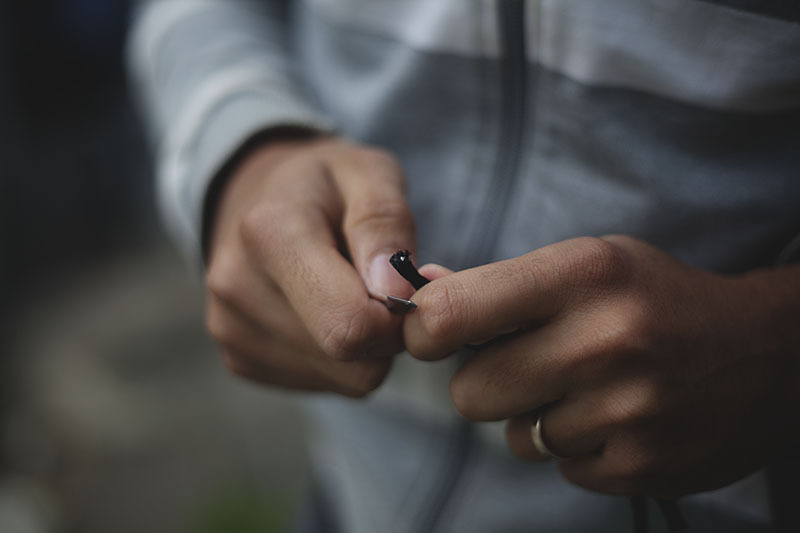 As with everything, there is a knack to achieving optimal performance. 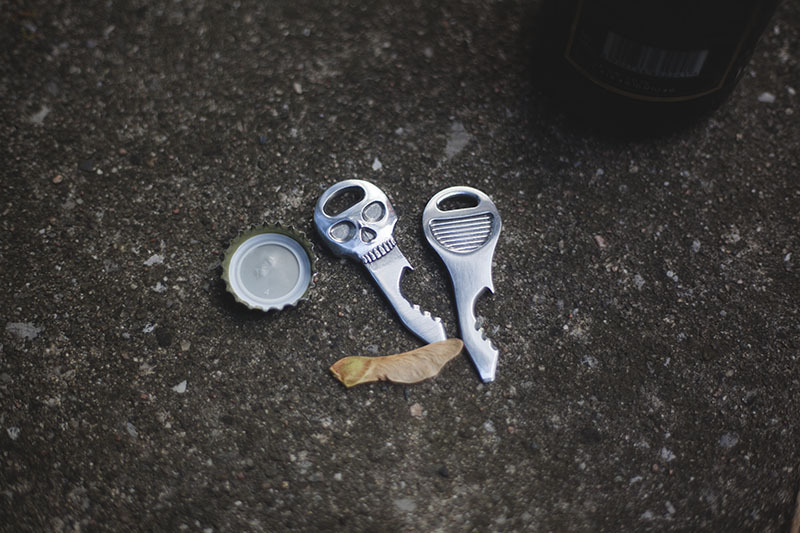 The QuicKey/SkullKey will never replace a dedicated bottle opener, but if one of these is the only tool you’ve got on hand, it’ll do just fine. The most noticeable tool/function on the QuicKey and SkullKey is that bit with the 3 recessed serrations. They look pretty functional, but I tried them out on twine as per the example on the back of the packaging, and it didn’t quite work the way I wanted. Out of the box, cutting through twine was pretty brutal. 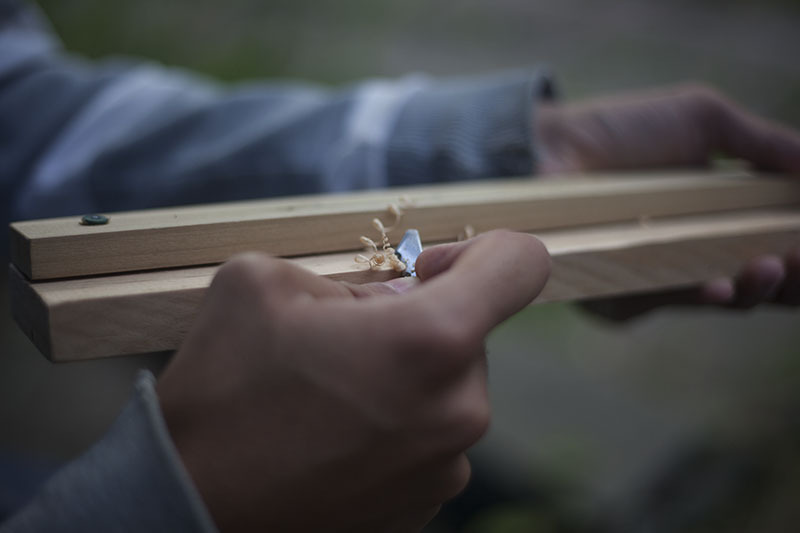 It takes a lot of effort, and a solid 7-8 sawing motions to finally make the cut. 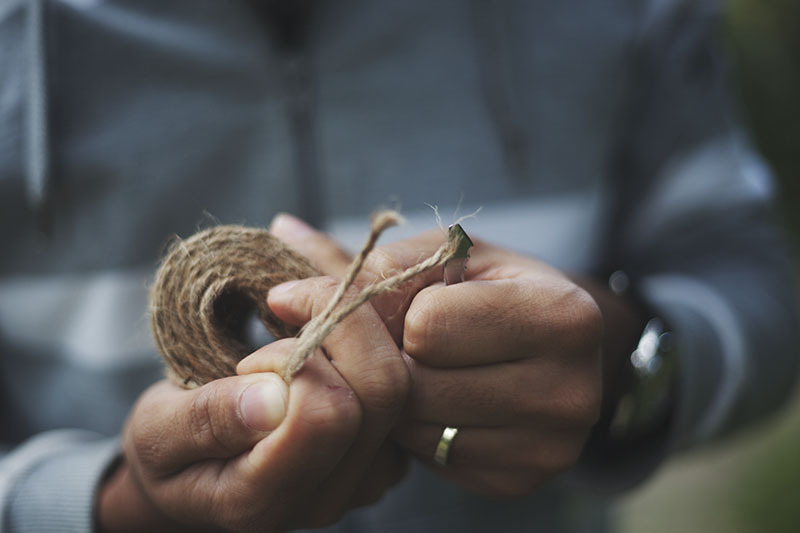 I then tried to cut/saw through paracord, but after 30 seconds, I just gave up. The “teeth” are so smooth that they just glide over the cord. 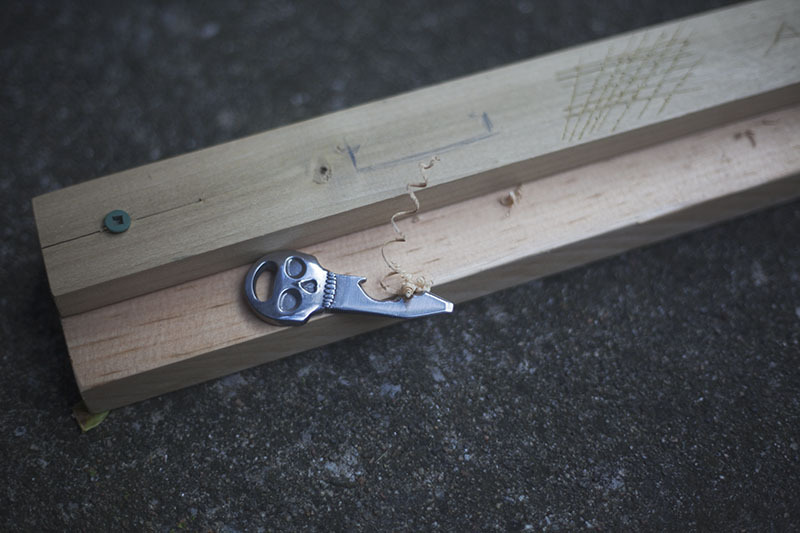 Almost felt like any effective cutting would be down to friction alone, not any actual cutting. 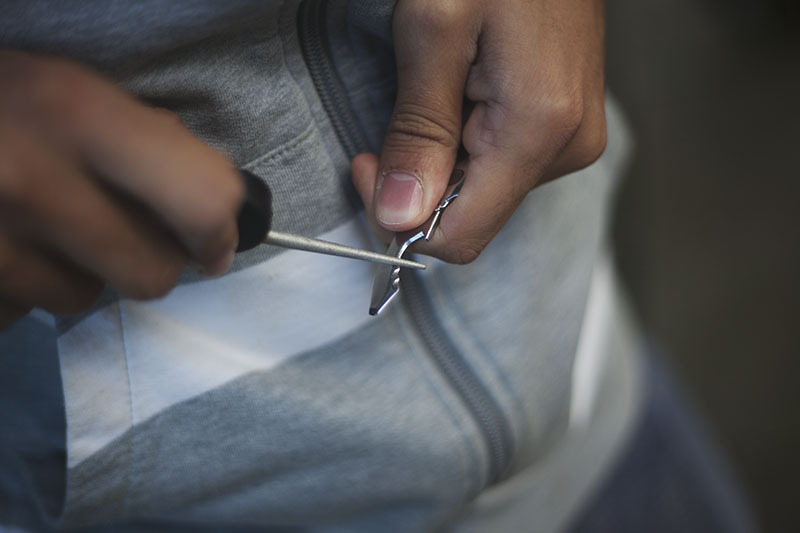 Just like the Gerber Shard and the Nite Ize DoohicKey, the Nite Ize QuicKey and SkullKey also brag a flat head screwdriver. Like in the DoohicKey review, I tested this feature out on my Kershaw Emerson CQC-6K, and the result was pretty good. I noticed no stripping, in contrast to the DoohicKey, which did strip the screw. The QuicKey and SkullKey I’d consider perfectly acceptable in terms of the flat head screwdriver feature. One thing that Nite Ize does not mention about the QuicKey and SkullKey is that they’re actually pretty decent mini pry bars. Not sure why they don’t advertise this, but to test, I lodged the QuicKey in between two tightly screwed boards, and was able to exert a decent amount of pressure. 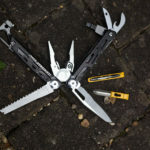 In my opinion, this is pretty much the most important feature the QuicKey and SkullKey can provide, as it’s something these two mini muli-tools can do exponentially better than a Swiss Army Knife, and other traditional mini multi-tools. I already carry a Victorinox Classic on my belt, and it’s far more versatile than a traditional widget, but there’s no way it can’t pry without breaking. I’ve used widgets to pry quite a few things when fixing things around the house. By comparison, I actually can’t remember the last time I used my Victorinox because I always have a regular everyday carry folding knife on me! So the prying feature is definitely worth more to me than the other features. Now back to the test. 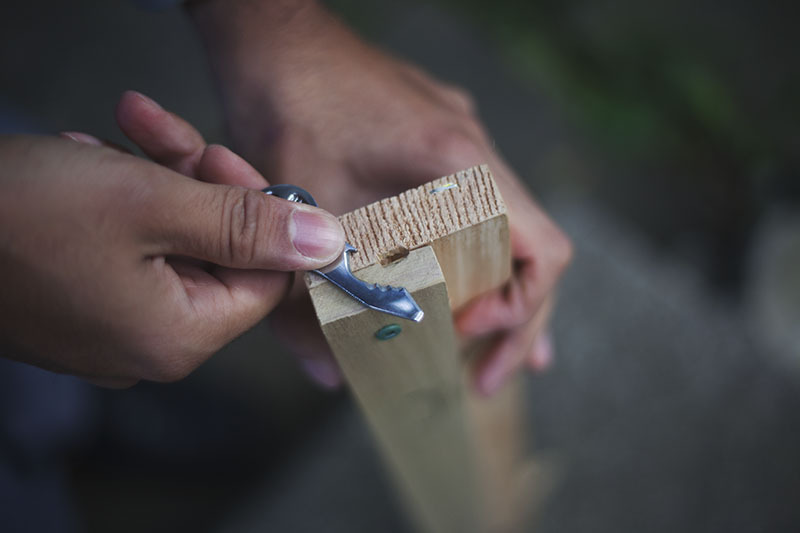 The width of the prying area on the QuicKey and SkullKey isn’t wide enough to avoid biting into the wood, but for things like paint cans, separating sheet metal, separating fixtures stuck on the wall, etc., this little tool will definitely come in handy. I didn’t bother photographing my attempts at opening a blister pack with it. The QuicKey and SkullKey are not replacements for actual knives. Period. 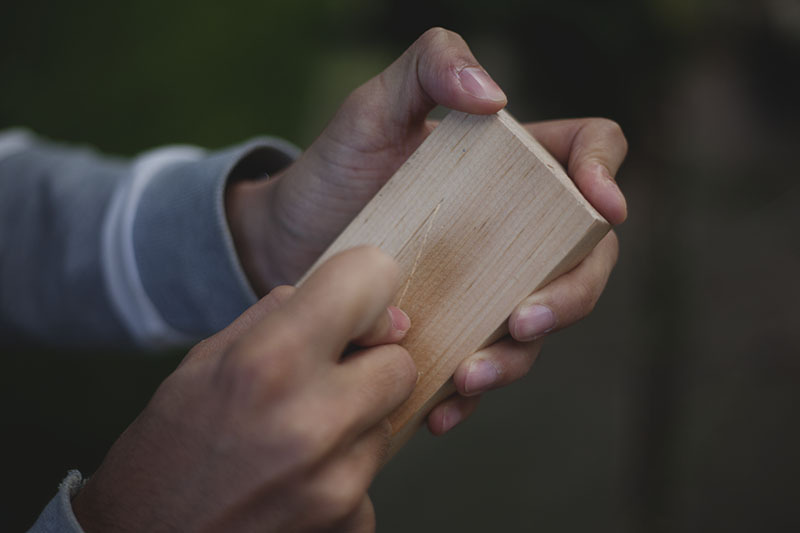 That said, they do excel at scoring wood, something I really wouldn’t want to do with my knives, as scoring with knives would make lines that are too fine and deep. I’m keeping the QuicKey in the workshop particularly for scoring with. 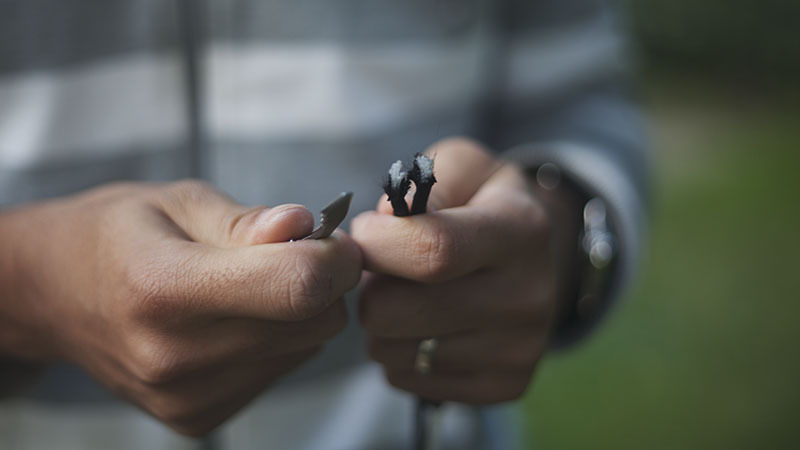 Interestingly the teeth of the serrations on the QuicKey and SkullKey are at such an obtuse angle that it works (to an extent) as a way of making curls for tinder that can be used to start fires. Nothing too impressive here, but I thought it was a pretty neat bonus. After the disappointing performance of its serrations when trying to cut twine with the QuicKey and SkullKey, I decided to sharpen them up with the Smith’s pocket sharpener, which conveniently has a tapered diamond rod to making sharpening serrations trivial. The initial grind/edge was ridiculously obtuse, but after 30 seconds of sharpening (this was a quick, low grit field sharpening job) the results were much better. 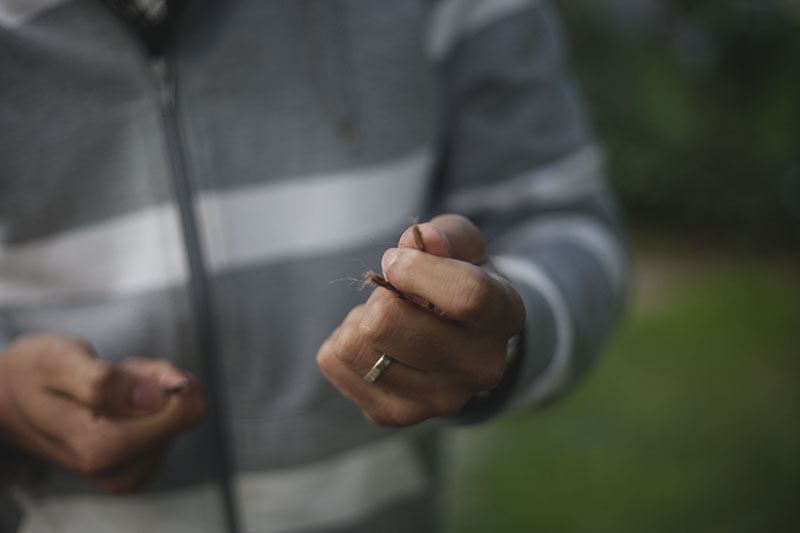 Cutting twine was trivial: first pull, and snap! Nice, clean cut. 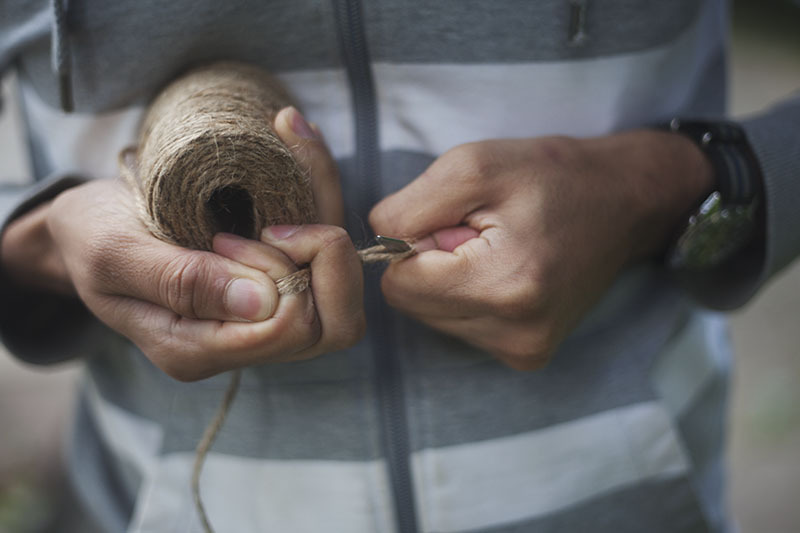 Cutting paracord required 2-3 pulls, but remember that this is a 30 second sharpening job. After a decent amount of elbow grease, I see no reason why the Nite Ize QuicKey and SkullKey wouldn’t be able to go through paracord, safety belts, etc. like butter. 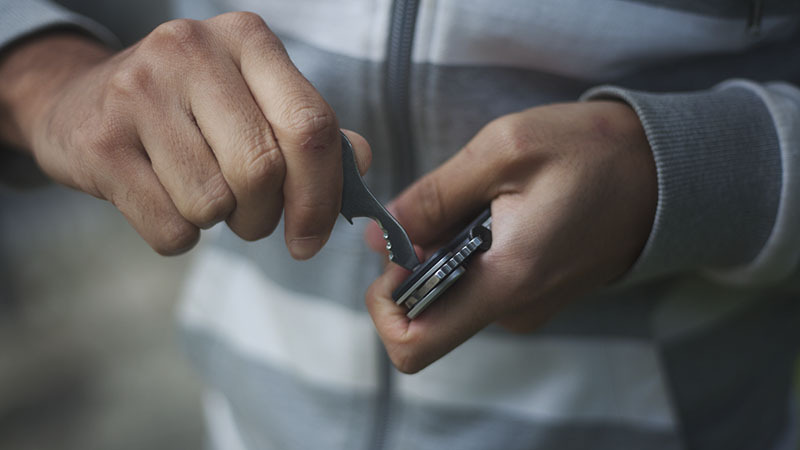 **Note: When sharpening the QuicKey and SkullKey, remember to leave the peaks of the teeth blunt, as that is what they will focus on when it comes to getting past security. Pretty impressive that it can go through paracord. Very pleased with it after even a quick sharpening job. The Nite Ize QuicKey and SkullKey are actually very interesting products. The advertising on them has been pretty terrible, both for overblowing its abilities (which Trident Designs did in the original rendition), and because of focusing on what I’d consider to be the least important functions of the QuicKey and SkullKey (which Nite Ize has done I’m sure unintentionally). 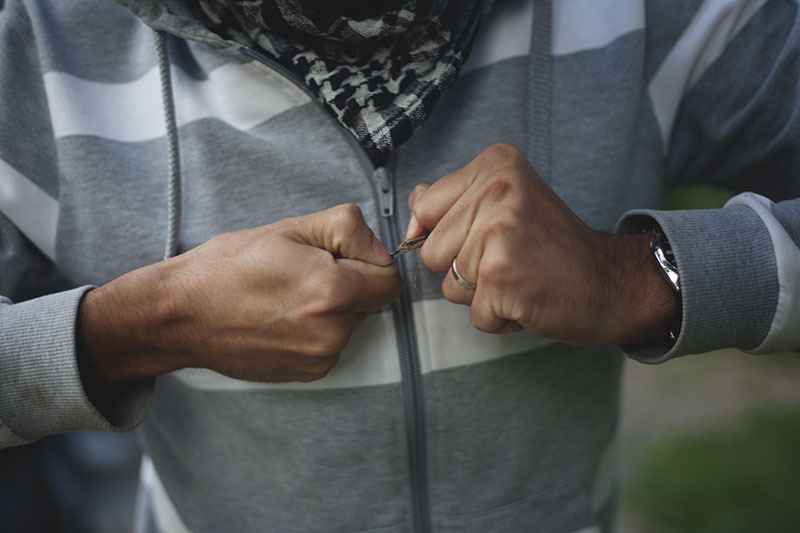 Lets be honest people, pretty much everyone who carries a widget already EDCs a knife. Its ridiculous to attempt to replace traditional knife tasks with such an inferior tool, so you shouldn’t even bother. 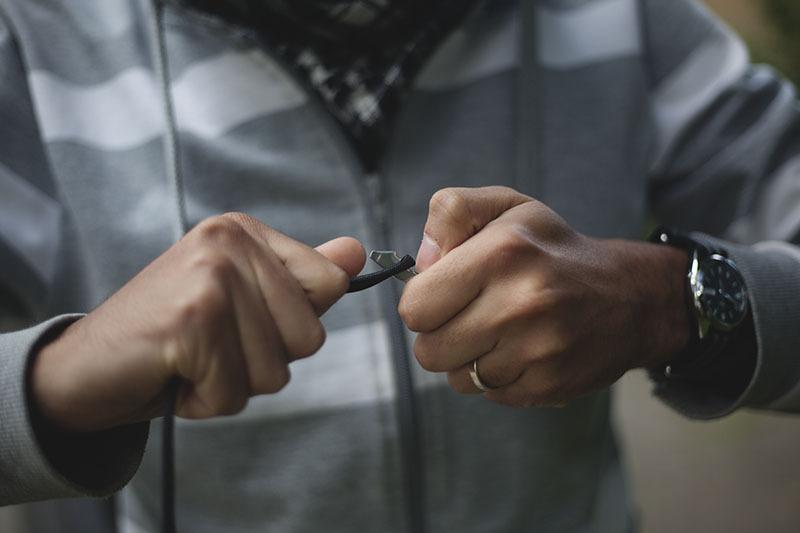 Simply state that in an emergency/on a flight it can cut thin cordage, and maybe open a parcel after a bit of effort, and be done with that feature, but don’t advertise like that’s the best feature it has, as that’s not a feature that a person who already EDCs a knife desperately wants. 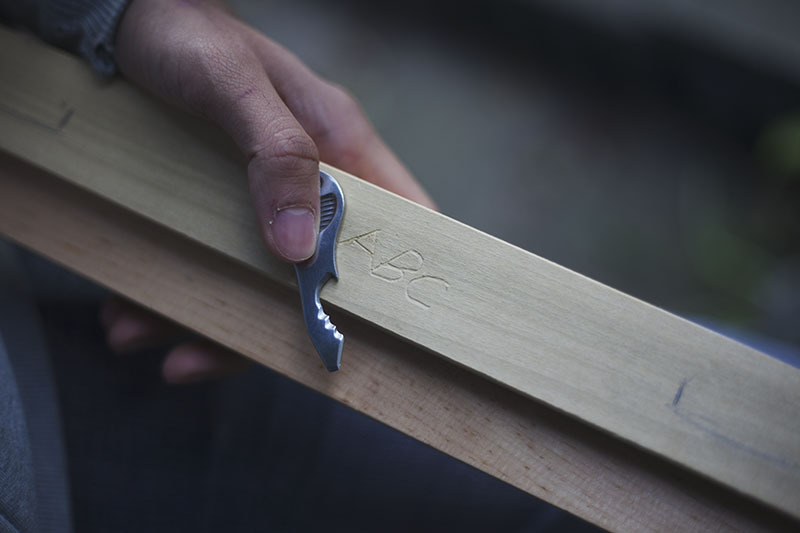 People who are not into knives would just use a freebie bottle opener or a box cutter. You’re unlikely to see them sporting this, and that’s fine. 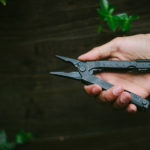 Nite Ize needs to remember its target demographic and realize that the best thing about this tool is that its relatively speaking quite cheap, and at the same time incredibly durable. My knives run into the $500-1000 mark at times, and there’s is no way I am using them to pry open a can of paint. Just not going to happen. That is why I carry a widget. 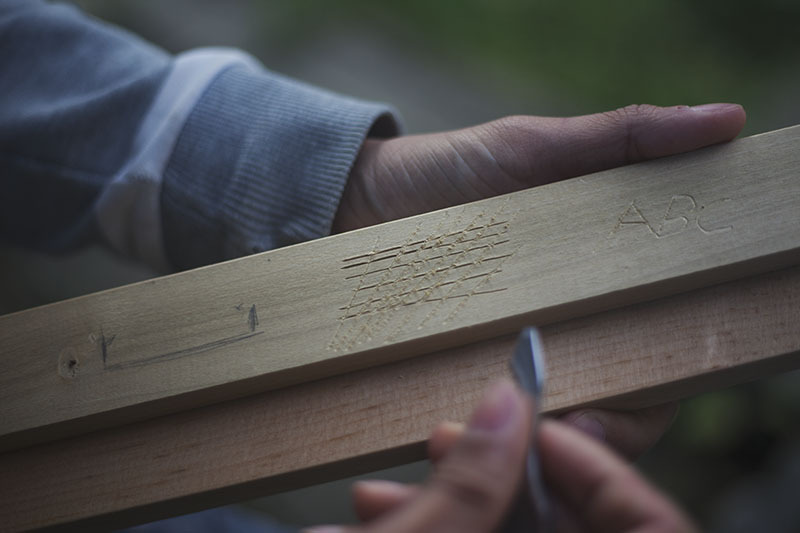 For scraping and prying, and even scoring with a tool that I frankly don’t care if I get scratched up: I can just buy another one if I want to, they’re certainly cheap enough. 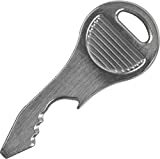 If it scrapes, pries, and scores, opens beer bottles (even if that feature is a little rough), fits on my keychain somewhat discreetly, and looks badass doing it? I’m already sold. 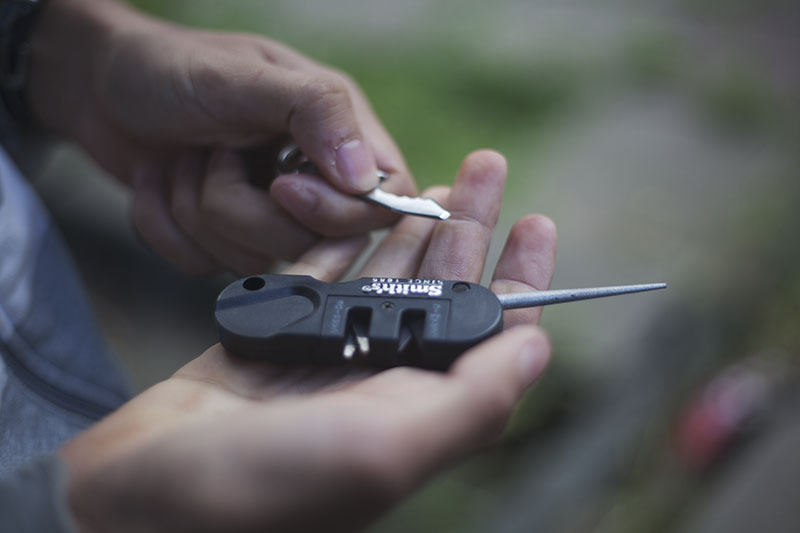 The QuicKey and SkullKey are basically mini multi-tools that offer more leverage when doing rough work or in an emergency than your typical Victorinox mini multi-tool. While you can, after sharpening them, use these tools to cut twine and paracord, that isn’t their main appeal, in my opinion at least. 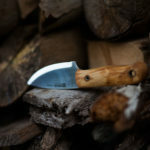 If you’re like me and you carry a folding knife everywhere already, the main appeal in the QuicKey and SkullKey is the fact that you can use them to pry, scrape, and score with. Don’t mess up your knife tip: get one of these leave it on your keychain to use for destructive tasks instead. 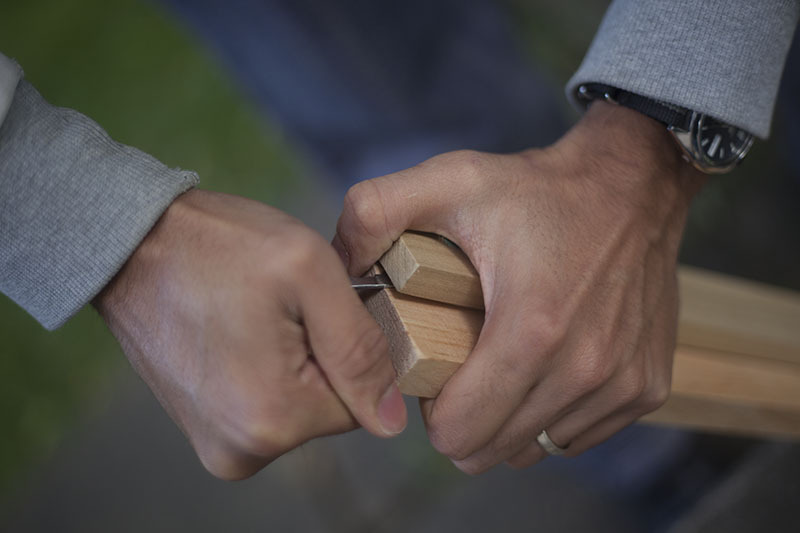 The QuicKey and SkullKey can withstand the battering; spare your expensive knives. 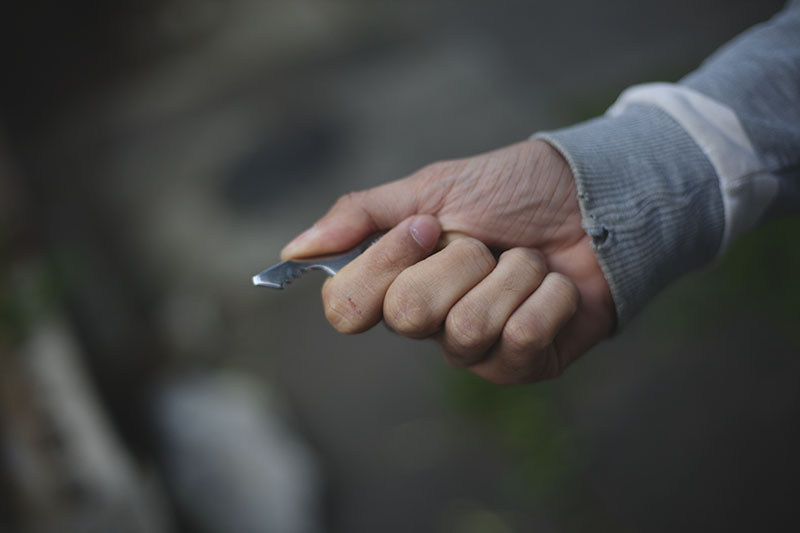 Someday some idiot will ask you if he can borrow your knife to open a can with, and while you can’t save yourself the frustration of there being such annoying people in the world, you can save yourself the agitation of saying no and subsequently having to explain why you don’t pry with your knife. “Oh I’ve got a tool for that,” hand over your QuicKey or SkullKey (a tool they couldn’t possibly break if they tried), and watch as they’re impressed by the sheer strength of such a tiny object. I love Warka beer (I love most Polish beers actually). 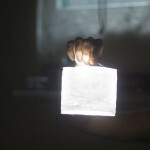 Its sold in Ontario quite commonly. I like Tyskie and Zywiec too. I am back in the UK now and with the amount of Poles around me, I am sure I will be able to track down some fine Polish lagers again!